Students are given a lot of activities to do right from Std. 1. They are even given kits from time to time to conduct separate experiments at home and note down the readings on special sheets. Children have to study novels as textbooks right from Std. 4. They have to review English movies and books as well as part of their regular coursework. Just one simple and comfortable sports dress for boys as well as girls as they have sports everyday in school. It’s wash and wear. Its suited for our tropical Indian weather so no neck ties or bows. They wear sneakers on their feet which supports their active day. My father, Dr. Sudheer Phatak was the founder chairman of Millennium National School. Above all things, he was a passionate educationist. Though the school was set up in 2000, my father’s work in education started way back in 1976 in USA. As he taught the doctoral students, he realized it was necessary to improve schooling itself. That would help fill the gaps that students face later on. I loved the concept of creating learning systems for school students and worked with him from 1996. We set up many schools in Mumbai and Thane back then. When I observed classroom teaching, I realized that for children to get the best education the teacher should be able to teach properly. The lesson plan has to be simple and practical. For this I had to plan out every single period. I created a blueprint for each and every detail – what to teach, how to teach, what to ask, what to write, how to evaluate and how to move ahead. This is my learning system. Figuring out the needs of the students and the difficulties that the teachers face was a very long process. I have spent endless hours not only in the classroom but also later thinking, planning and then rethinking and re-planning! The results have been amazing with happy students, enthusiastic teachers and satisfied parents for over 20 years. The key to this success is our well planned system. Our teachers are the executives who implement it. With this they can make sure children learn. They have the time and energy to focus on students in their class: how they are learning and what help they need. They can make sure everyone understands. This lets the teacher do what she is actually supposed to do – teach! We have these details for every concept in every 35 minute period for every subject, for the whole year from Kindergarten to class 10. And we do this for core subjects and all the extra-curricular activities too. Then everything works beautifully – because with these systems, it just has to. When systematized teaching doesn’t happen, what parents hear is a lot of excuses. Parents are led to believe that the board is harder or the new educational policies make things difficult for the students. Look at the new CCE policy which is actually a continuous evaluation to check what students understand. It has been designed to check the effectiveness of teaching. In the learning system I have designed, it is naturally and seamlessly integrated. In absence of this learning system, teachers just keep on conducting exams. Students are stressed, parents are helpless and teachers lose out on teaching time, plus they have to evaluate all those exams and make reports. All we end up with is losing out on time, energy and interest. We send our children to school for the best education. It is possible only with strong, planned learning systems. My team members and I have a collective experience of over 200 years in education. We have been doing this for a really long, long time. We make sure that student goals are achieved, parents are not stressed and teaching is effective. This is the core of the Walnut School. 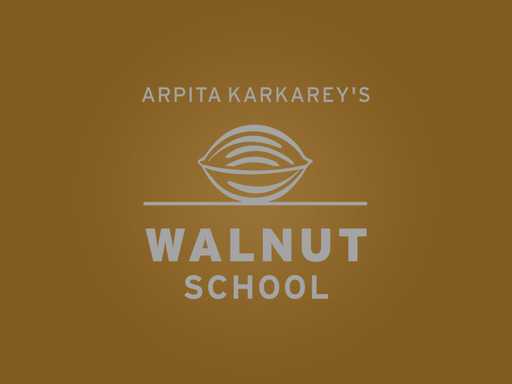 On behalf of my team, I promise you that at a Walnut School, children will receive the best possible schooling experience. We enjoy talking to like-minded people and exchanging ideas. We invite you to share your thoughts. Do come and visit us at the school to see what we are doing. There’s a lot to talk about in this regard. Do join us for tea with some of our core educators at 4 pm on Saturdays. Parents, children and staff were all decked up in their traditional finery. There was a grand display of mud forts made by the children. There were diyas, lanterns and rangolis too. There was food to go with it and the weather was just right. The atmosphere was all charged up and everyone was in high spirits. Oh what an evening that was! In a slightly long post – this post talks about developing the scientific attitude in children. It has been written by Arpita Karkarey madam, as a pre-cursor for the science kits for performing science experiments at home for Std. 6 students. In a slightly long post - this post talks about developing the scientific attitude in children. It has been written by Arpita Karkarey madam, as a pre-cursor for the science kits for performing science experiments at home for Std. 6 students.